Quote: "Works fine for me." I take it back. The app runs fine in the AppGameKit player, but fails when it is compiled to an .apk. It seems to be a problem connecting to the network. After one more test, I discover that the .apk crashes when launched from the installer, but runs fine when launched from the icon. are you sure it's not being caused if it doesn't get a response and so is writing "Error"? maybe you should wait for the response a bit or make sure the response isn't "Error" before trying to process it? TomToad wrote: "I take it back. The app runs fine in the AppGameKit player, but fails when it is compiled to an .apk." 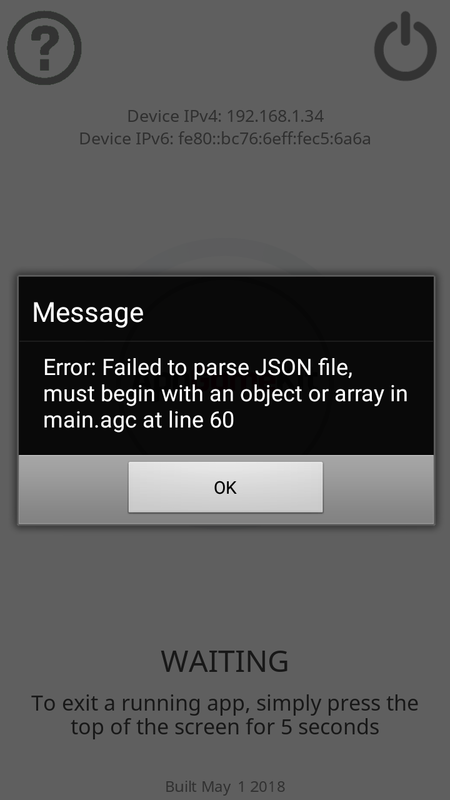 It still not working for me in the AppGameKit Player for Android, i got the screen message with the parsing problem. I have the May 1 2018 Build. smallg wrote: "are you sure it's not being caused if it doesn't get a response and so is writing "Error"? maybe you should wait for the response a bit or make sure the response isn't "Error" before trying to process it?" The debugger is warning about a similar problem but it's working fine on Windows and iOs,, maybe Android is a bit more strict on that way so I'll check the caseSensitive words and a different approach loading. And of course I'll post the results. They are really two awesome functions, thanks TGC. It's a bug in AppGameKit and still happening. 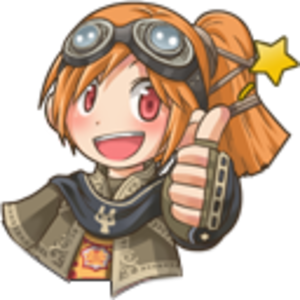 Quote: ""We have fixed escaped JSON strings sometimes causing incorrect strings in AppGameKit""